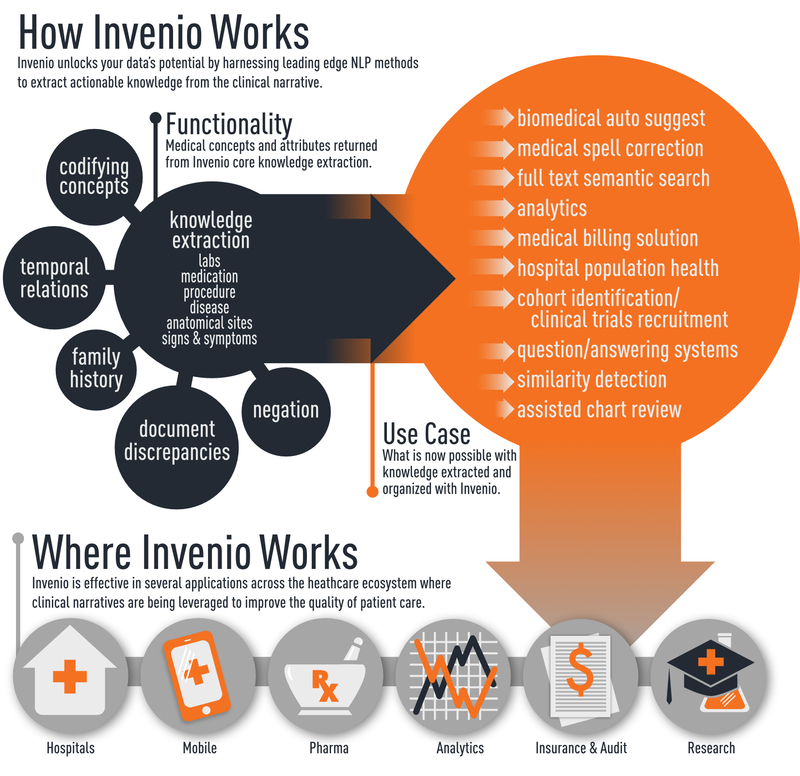 Invenio by Wired Informatics offers Leading Edge Enterprise Ready Natural Language Processing (NLP) Technology that efficiently extracts knowledge embedded in unstructured data across the healthcare ecosystem. This knowledge drives meaningful results in real-time by bringing actionable patient data to the forefront. Today roughly 80% of the data in EHR systems exist as unstructured data making it extremely difficult to realize its full potential. By combining the power of NLP and machine learning (ML) techniques, Invenio provides a scalable knowledge extraction engine for research and commercial product development. Our statistical machine learning algorithms and models have been specially trained on a variety of clinical notes such as Primary Care Notes, Pathology Reports, Radiology Reports, Oncology Reports, and Discharge Summaries from various departments of major health care institutions thereby offering an unparalleled robustness and accuracy. Invenio empowers Quality and Safety officers to efficiently audit and verify patient documentation for consistency thereby improving the quality of care and also reducing incorrect procedures. 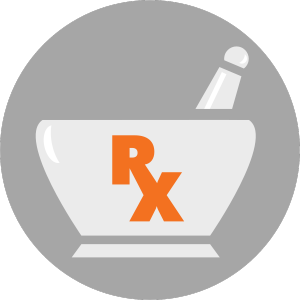 Medical Information Groups within Pharma organizations have an option to automate the medical responses by training Invenio on the inbound requests and historical responses. Invenio drives mHealth transcription and billing applications by allowing rapid clinical text entry, auto suggest and auto correct features. 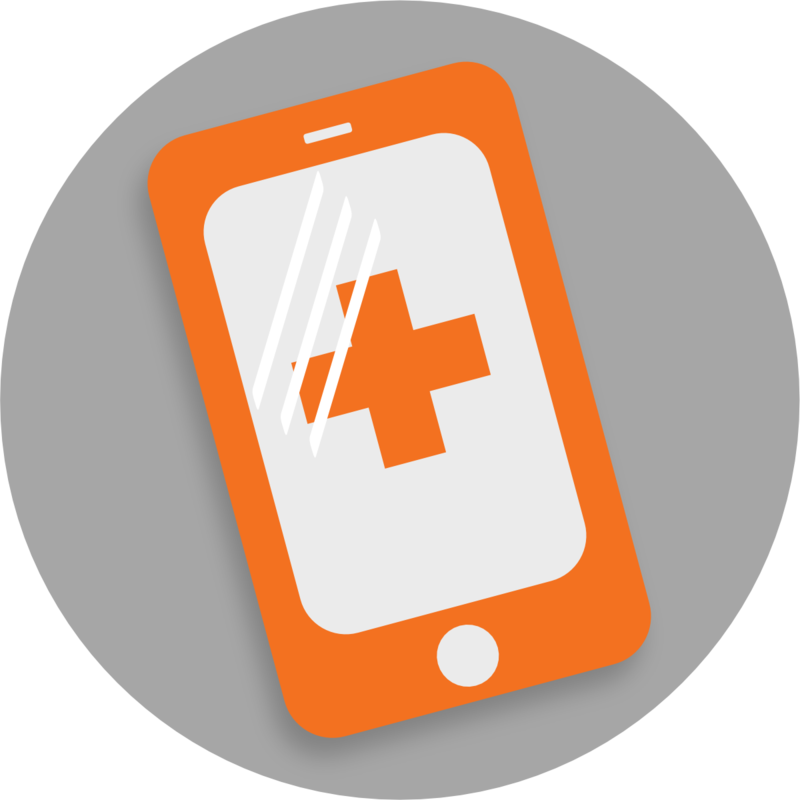 Further, documentation generated after voice processing is processed and standardized for entry into EMRs and billing validation without the need for further transformation. 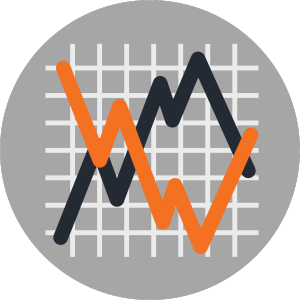 Invenio fuels the Big Data Analytic revolution by processing and delivering normalized structured data to Hadoop and Mongo lakes for insight generation and population health analytics. By introducing Invenio we are able to transform plain text into rich knowledge that is readily available for semantic searching and advanced analytics. Want to see more articles; head on over to our archive.